It doesn’t take much to fall in love with canoeing. You get to enjoy the sun, the water, the breeze in your hair as you cut across the water while rowing a boat. But it’s definitely not easy. In the beginning, everyone starts from scratch. You will feel the frustrating pains of capsizing on the K1 the moment you lift your hands off the pontoon, the cramp in your legs when you capsize in the middle of the lanes and have to swim 250m back to the nearest pontoon, the agonizing ache in your shoulders after having paddled 16km and so much more. But precisely because of these things, you will also feel the joy that comes when you finally manage to brace and stay above the water for a few seconds, when you have mastered your strokes and feel the wind against your face as you soar across the water, and feel that rush of adrenaline, speed, and power. But of course, trainings will not be easy. 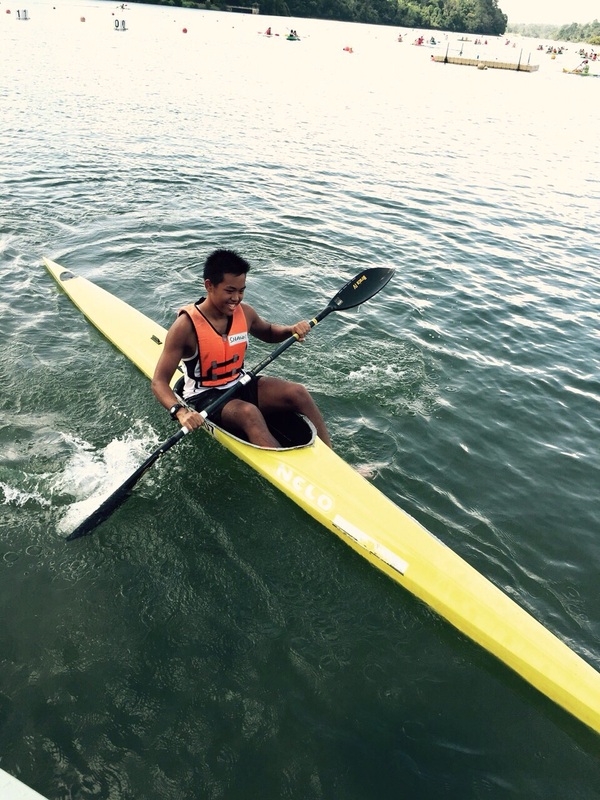 With water trainings on Mondays, Wednesdays and Fridays, as well as possible extra gym trainings on Saturdays, canoeing requires much dedication, commitment and perseverance. There will be moments when you feel like dying, when your arms and legs feel like they are on fire. But don’t be afraid of hardship because the payoffs are definitely worth it. Furthermore, we take comfort in knowing that we are going through this journey as a team. You and your teammates will train together, eat together, bathe together and play together. Your teammates are the ones who are going to be at the back of your boat screaming at you to paddle harder and telling you off when you slack at the pontoon and then laughing with you when they push you into the water. In all honesty, Raffles canoeists aren’t big players in the canoeing scene, but this is precisely what makes our battle so much more interesting. We get to compete against schools with canoeists who been honing their skills since Secondary 1 and essentially have 2 or more years of experience under their belts. This only gives us the chance to prove ourselves and show that, truly, only hard work and determination is needed to succeed. 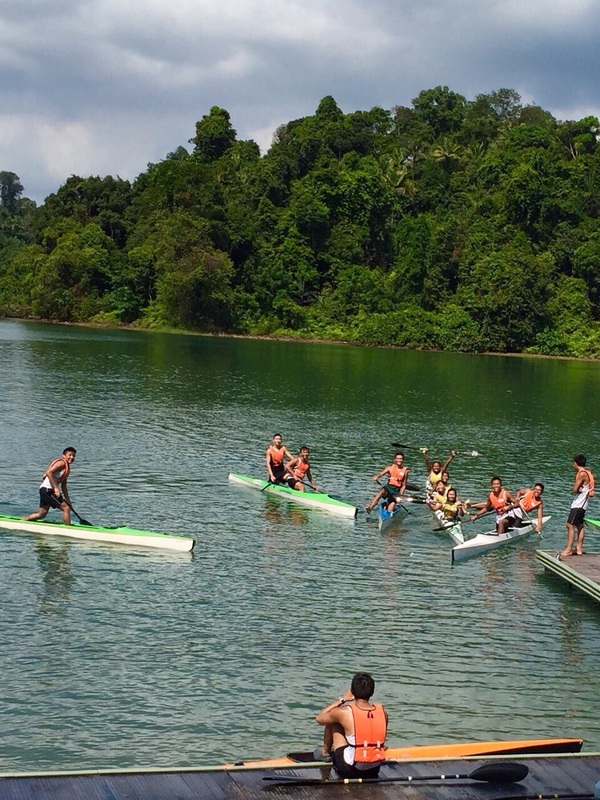 In Canoeing, you will get opportunities to row with students from other schools such as SJI and CJC, since we share the same coach. This will prove indispensable as you learn to master canoeing techniques, as well as train with people who have more years of experience in canoeing. So, if you want to join a family that works and plays hard under the sun, come to canoeing; we’ll gladly welcome you! Train insane or remain the same.